This full colored illustration is the 6th piece of the Full moon series. 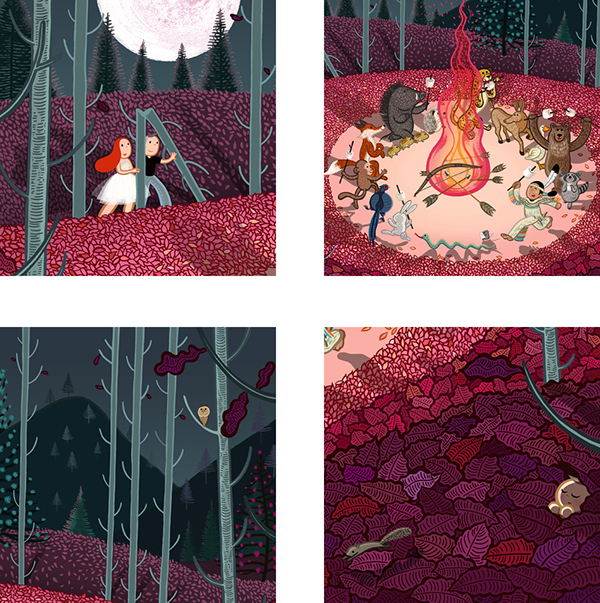 A couple is looking for their baby in the Autumn wood while the hunter stops hunting animals and throws his bow and arrows into a fire when the full moon of October rises. No more hunting tonight. Love peace. 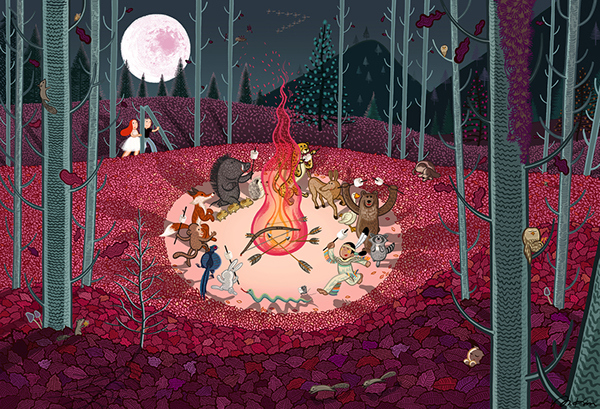 All animal draws round a fire with the hunter and roasts sweet marshmallows. Let's enjoy the campfire and the rustling sound of fallen leaves. The month of October's full moon name is Full Hunter's Moon in the tradition of Native American naming.